Luxury in Lisbon is a new concept in Lisbon luxury apartments. We offer 3 spacious apartments and 2 Lofts, located in a historical building on the symbolic Avenida da Liberdade, exuding style and comfort. You are on the " Champs-Élysées" of Lisbon and can walk to the city's most sought after sights. …...and you don´t need to worry about a thing, we offer you all the services of a hotel, including daily housekeeping! At Luxury in Lisbon service is at the heart of our philosophy and we are convinced that every small detail counts. From fresh flowers to a bottle of local wine upon arrival, they´re the small things that set us apart. In Luxury in Lisbon we welcome large family groups and children. Our apartments and lofts offer all the commodities to make your family stay perfect with spacious rooms and all you´ll need for the kids. Set in a 19th century building with light flooding in from both sides, the location is unbeatable. The Avenida metro station is one minute away, there is a taxi rank on the doorstep, a car hire business and parking to the rear of the building and shops and restaurants galore within easy walking distance. The sophisticated shops of the Liberdade, the trendy Principe Real, buzzing Chiado and the Barrio Alto, Praca de Comercio and Restauradores - all accessible by foot. A spacious living room with balconies over the Avenida da Liberdade, flat screen TV and speakers for your music. Enjoy the luxury of 220 square metres for a romantic weekend a deux or visit Lisbon with friends or family. Group Trips: Get in the holiday mood! Luxury in Lisbon is the place you´ve been looking for. Our apartments offer several rooms perfect for hosting groups. You will find fully equipped kitchens and large dining rooms. All the comforts of home and more, free wifi, fully fitted kitchen with washing machine, dishwasher and tea and coffee making facilities - we will even welcome you with a bottle of Portuguese wine and some of the owners' ecological olive oil to dribble over your bread in the morning. A spacious living room with balconies over the Avenida da Liberdade, flat screen TV and speakers for your music. 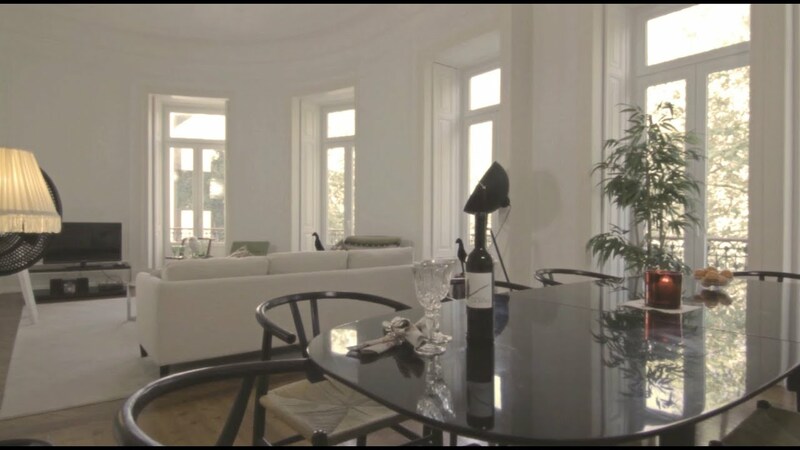 Enjoy the luxury of 220 square metres for a romantic weekend a deux or visit Lisbon with friends or family - each of these four bedroom apartments can be rented for two to ten guests. We have a daily cleaning service and on site reception/concierge - and will happily provide you with breakfast if you wish. We are working on the renovation of a 19th century palacete in the fashionable Principe Real. We will have 28 spacious rooms all of which will have walk in showers and some will have roll top baths. We are privileged to have a large walled garden which will have a heated swimming pool. "a 5 stars luxury hotel aprt experience.."
"SPACE IS THE NEW LUXURY"